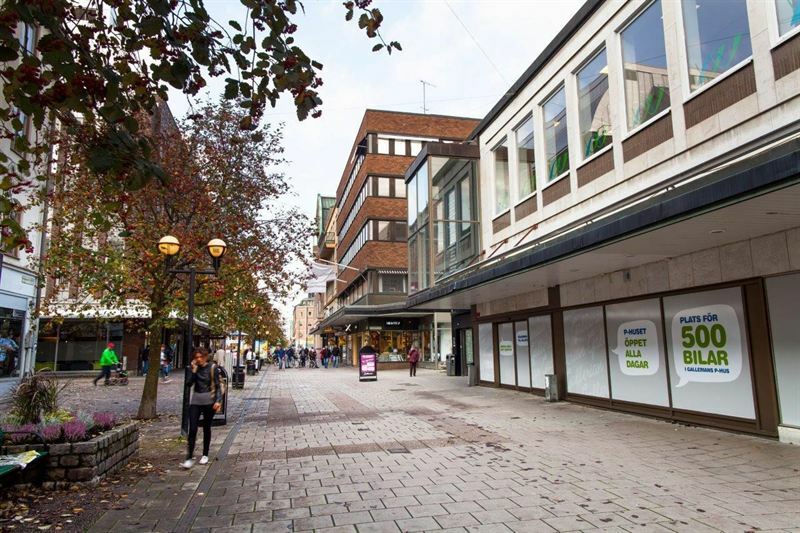 Kungsleden has signed a new lease with anchor tenants Systembolaget and Hemköp at the Gallerian mall in Eskilstuna (including the properties Vårblomman 8 and 11, and Visheten 14 and 15). The newly signed leases ensure that the modernization of the mall goes into the implementation stage. The mall in Eskilstuna is centrally located adjacent to the recently refurbished Kungsgatan and Fristadstorget. The property consists of a ground floor with commercial space, an upper level with office space and a gym, and a basement with a parking garage and bowling center. The ongoing development project covers the retail areas on the ground floor and aims to create a more modern and attractive shopping environment. “We are very pleased to offer new spaces to our anchor tenants Systembolaget and Hemköp. We have now also begun the process of creating an appealing mix of shops for the other retail spaces in the mall,” says Marcus Lundh, Asset Manager at Kungsleden. “We will be able to implement our new modern store concept at the mall, which is very positive. Hemköp’s customers are active and engaged, and our vision is to be the most popular supermarket. To achieve this, we offer a high proportion of fresh products, inspiring and modern stores, and a broad, affordable and sustainable product range,” Thomas Gäreskog, CEO Hemköp. The renewed agreement with Systembolaget includes over 800 square meters, which they will have access to at the end of 2017. The Hemköp agreement covers 2,600 square meters, which will be ready at the beginning of 2018. Kungsleden now has five projects in the implementation phase, with a total approved investment of approximately 975 million SEK. The information was provided for public release on 24/4 2017 07:00 a.m.